Chris is the Broker, Owner and Founder of Guide Boat Realty, LLC. Chris has been in real estate full time since 1985. In March of 2000, Chris opened Guide Boat Realty, LLC. "I am fortunate to have the best agents in the area. They average over 17 years of experience and all are multi-million dollar producers. I am sure you would be happy working with any one of them." Chris has served two terms as President of the Northern Adirondack Board of REALTORS. Chris was important in the expansion of the Board's territory, adding most of Essex County and part of Hamilton County to its existing base of Franklin County. 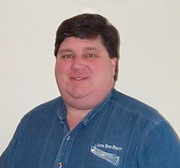 Chris also oversaw the implementation, for the first time, of a computerized Multiple Listing System. He has served on the Board of Directors of the New York State Association of REALTORS since 1996. Penny has lived in the Adirondacks for 29 years. After employment in the fields of education and medicine, Penny became involved in real estate sales in 1982. She is a member of the Northern Adirondack Board of REALTORS Professional Standards Committee. "I enjoy the challenges of the real estate profession." Penny is active in residential, waterfront and vacant land properties. Susan moved to Saranac Lake from Georgia in 2008 with her husband, Jeff, and three sons. One of the reasons Susan chose Saranac Lake was the excellent school system with outstanding sports and arts programs. She has decided that Saranac Lake is the best place she has ever lived. "I love the natural beauty of this area. It is breathtaking!" As a seller's agent, her passion is home staging. "A home that is beautifully staged to sell will sell faster and for more money than comparable homes. I would love to help you get your home ready for a quick, top-dollar sale!". Susan is excited to help people find the home of their dreams. Lorraine, a native of Saranac Lake, is a retired school teacher and business owner. She taught science for 33 years at the Saranac Lake High School. She taught skiing at Mt. Pisgah for several years and ran the ski school through 2000. With her husband, she owned and operated Lorraine's Tent and Party Rentals until 2002. She currently runs Scenic River Cruises, a tour boat on Lake Flower in Saranac Lake. She is also on the boards of Historic Saranac Lake and the Saranac Lake Area Chamber of Commerce and is working with the village of Saranac Lake to promote Mt. Pisgah, the village operated ski center. "I enjoy working with people, and I'm looking forward to a new career. Having lived happily here the majority of my life, I want to help others become familiar with the area and find their dream home." Grace first came to the Adirondacks in the mid-80s to work a seasonal job at Whiteface Mountain. After several years of living here during the skiing months and in the South East during the paddling months, Grace chose to make the Adirondacks her year-round home. Grace and her husband, Brian, have raised four children in the North Country, they run a canoe rental business, and have organized the iconic Adirondack Canoe Classic ("The 90-Miler") since 1999. 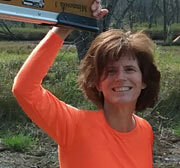 "Grace's friendly nature, love of the outdoors, and work ethic are a good fit for a salesperson at Guide Boat Realty." said broker/owner Chris Covert. "Please contact Grace if you would like guidance in selling or buying your place in the Adirondacks." Shooky has been in real estate in Saranac Lake since 1977. She came to the area by way of Nova Scotia and Boston for a summer job as an RN at the Lake Placid Hospital. Shooky was the owner and broker of Coldwell Banker Shirley M. Walsh Realty in the late 80's and 90's. During this time she served as President of the Northern Adirondack Board of REALTORS and numerous committees. Under her guidance as President, three major accomplishments were realized: the Standard Listing Contract, The Standard Contract of Sale as well as getting all agencies on board with the Multiple List Service. ( all before the computer age) Back from a short retirement out West, a good friend enticed her to list her home and that was it. Back full time again and truly enjoying being an Associate Broker, Shooky loves the interactions with her Buyers and Sellers and the joy that is realized by both. She will skillfully guide you on your real estate journey.